Hopeless couples drive to the end of a road, just on the canyon’s edge. The drive ends with a display of a charming, bright place of retreat. The warmness of the retreat facility seems to mock the cold and fear in their hearts. This was to be a 4 day marital intensive with 4 couples in crisis. 4 couples who’s marriages were hurt and hopeless. On this cold January night, each couple sat awkwardly near their spouse next to other unknown awkward couples, at a long table, set for the evening meal. A table full of strangers lost in a fog of pain, pretending to be fine with outward social graces, masking hurt hearts. A questioning, nagging thought…how can hope be found in this place? The common thread was this self talk of hopelessness and fear. Fear of being judged, fear of being the most messed up couple, fear of failure in an attempt to free this marriage of the pain. Tension was evident as I entered the room and sat at the end of the table. I was one of two therapists assigned to journey with these couples for the next 4 days, to lead them to a place of hope. My focus, as I sat down, was to pierce through the fog of tension and eat with careful conversation, allowing them to begin to find a place of comfort. Unwrapping the gift of hope begins on the first night with the first meeting. Leading them from an empty place of hopelessness to the anchored security of hopefulness. A journey that requires trust, an open heart and a desire for healing. Trust follows a confidence in sincere caring love. Myself, as well as the entire staff, consistently show the couples that we care, we love them and then point them to the love of the Father in heaven. The journey for the couples over these 4 days is not unlike the life journey we must all take, when we choose to live hope(full) – a life filled with hope. This hope should not just be a wishful desire. It should be a wanted expectant reality. It is a possibility as we faithfully open our hearts to the grace, love and peace of God. Faithful to trust and confident in the expectation of his presence. Hope will heal the hurt. In Psalm 71 David speaks of his trust, confidence and hope. a. 71:1 i.e. have my expectations in Your goodness be disappointed. Living hope(full) changes how we see ourselves, what we value and what we choose to do with our life. Hope gives us joy, peace, comfort, courage and confidence. Hope is the fuel to find healing for the hurt. Hope(full) living will require a seeking and understanding of the word of God, resting in God’s grace and a realization of the presences of the Spirit of God. 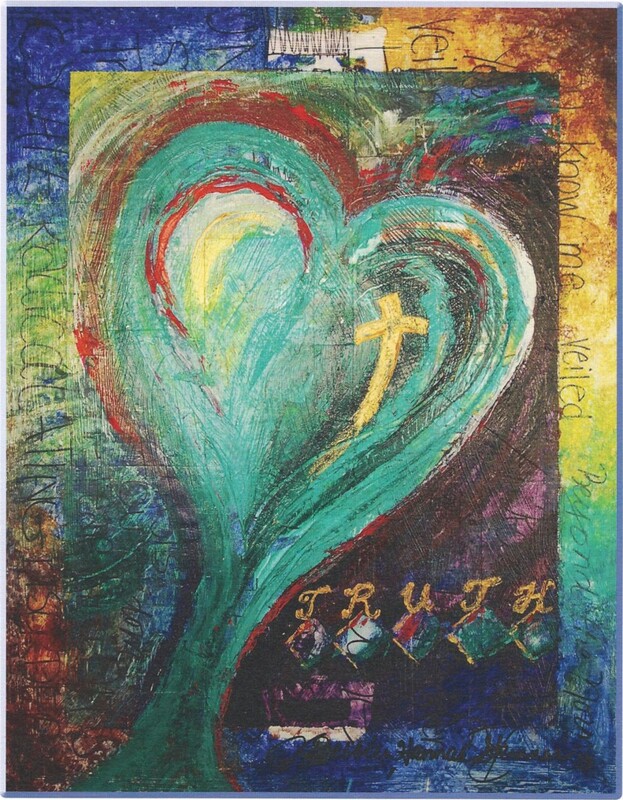 H eart – In the Old Testament the word heart means; the inner man, mind, will and heart. This includes the breath of a person! Hope(full) living will take a “whole hearted” commitment to carefully examine the hurt, to expel childhood fears and perceptions, then begin to allow the filling of God’s truth in your heart. O penness – To be hope(full) there must be an openness to allow God’s truth to have access to the heart. To have an open heart as a child that is seeking love. Rather than a hard heart of anger and pride. 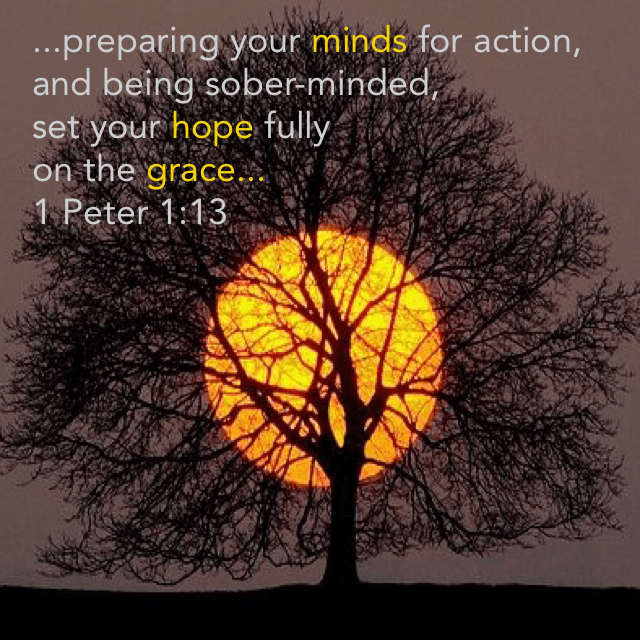 P assion – Pursue with passion to be healed of hopelessness. It will take an intentional focus of thinking and effort to experience not only the knowing about God but the knowing of God. Opening the eyes of your heart will allow you to receive God. This will take the energy of a confident passion to proceed with the changes God plants in your heart. You must want to be healed. E xpectancy – Exciting anticipation is the reality of hope(full) thinking. An open passionate heart will naturally be expectant that hopelessness will not be a permanent reality, but a distant memory of the past. 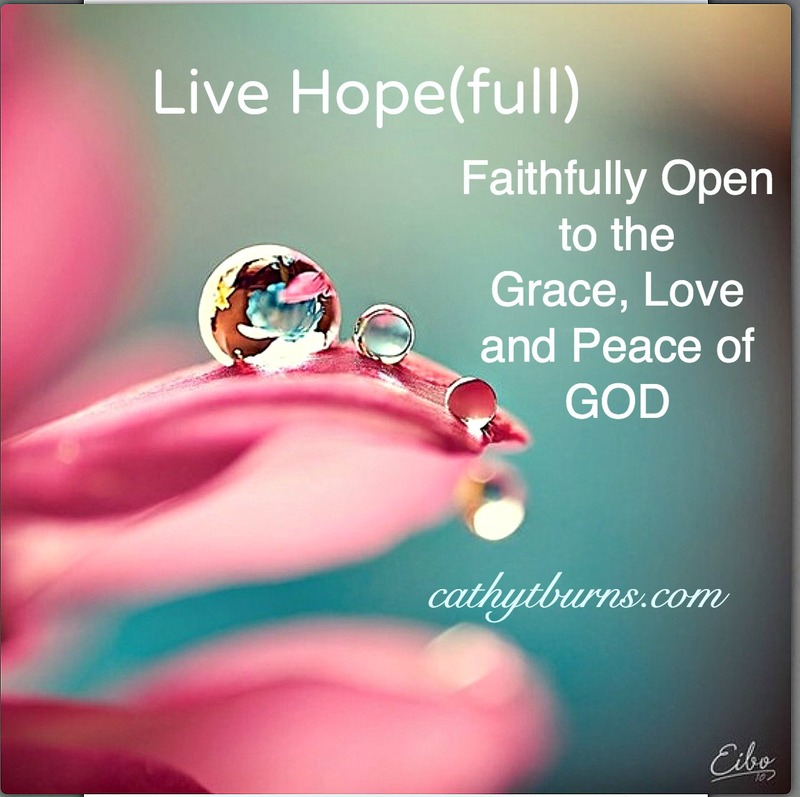 F aithfullness – A strong assurance and trust in the promises of God’s faithfulness, fully captures the essences of hope. A heart, soul and mind fueled with faith will be open to the voice of God, moving with passion, toward a life expecting the presence of God, craving the fullness of his promises. U nity – Hope(full) living will be a turning toward God. A hope(full) heart has understanding of the union of God within us – His presences residing in us through the Holy Spirit. Realizing this unity brings a peace that is felt in our soul and evident in our life as we live in this agitated world. L ove – Divine love changes the individual who responds to change the world. The filling of God’s love in an open, faithful, passionate heart that is constantly seeking to be united with God, causes an overflow of hope spilling it’s light to the world. (L ook) – Observe, notice, watch, examine your life. See the world through eyes of gratitude to clear the fog of hopelessness. Gratitude fills in hope, hope builds gratitude. 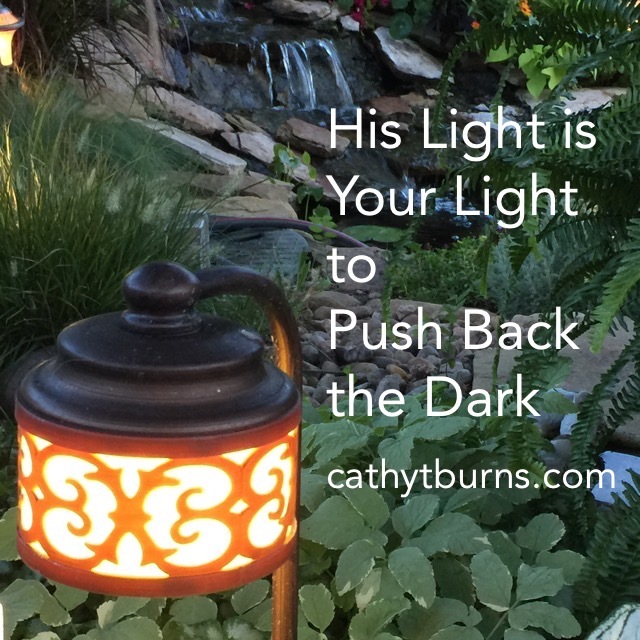 A hope(full) life expects and sees the light of God’s provision in the darkest places. The hopeless couples did choose to become hope filled couples, learning how to live hope(fully) in their marriage. The 4 days were a process of hurting hearts trusting the loving presences of God in that place. Choosing to heal the hurt by opening their hearts, seeing the faithfulness and love of God then pursuing change. Day 1 is known for the weariness, day 4 reveals renewed stronger couples who are more resolved to live hope(fully). To live hope(full), in any life situation, is God’s desire. The purpose of this entire web site is to equip others to live hope(full) through anxiety, depression, grief, life transitions, marriage, chronic illness, career losses, and other life struggles and adjustments. The color of the text points to this purpose. Green, the color for scripture, is to signify the growth and progress of our hope. In the Message, Eugene Peterson, writes in Romans 15:13, “May the God of green hope fill you up”. In Africa the color orange signifies “Hope”. Any quote or saying that gives energy to hope I will use the color orange. Color gives highlight to our lives just as the presence of hope. The power of God is the same power that lives in us, His children. We have hope (a confident expectation) that his promises are true…we stand in victory. This is the Life that is hope(full)! Listen to Jeremy Camps song Same Power to encourage you to make the choice to LIVE HOPE(FULL). How can I be lonely in the midst of continuous contact? My heart feels strangely empty and unknown. I have a sense of purpose with a meaningful ministry. I have a husband who loves me and children who seek my connection. What is going on? Loneliness is a common experience for many. Loneliness may be a physical reality, but all to often it is a mental disposition. Loneliness can have a detrimental effect on one’s mental and physical health. It can activate poor coping choices, such as increased alcohol and food consumption and other addictive behaviors. The lifestyle of business has become something to admire. We live over scheduled, hyper-networked and self-reliant lives, seeking to be filled by the connection of success and admiration from others. Turning to technology can seem like a clean substitute for connection. Yet, this only short circuits authenticity and has been proven to decrease empathy. Our life style can create our loneliness. But, is it just life style that contributes to this sense of loneliness?A negative mindset toward self and others may be the strongest contributor of loneliness. There are four common strategies for reducing loneliness. For the lonely, there is a need to improve social skills, increase exposure to social support and opportunities for social contact. Particularly the chronically ill and the aging population. The number one most effective strategy was addressing the negative thoughts a person has about themselves and others around them. These negative thoughts are automatic, reactive, and not factual. A feeling is not a fact. As the negative reactive thoughts take over they will sabotage any other attempt to connect. It becomes a vicious cycle. Bingo! That is my problem. I know I struggle with feeling alone, not good enough and unimportant. I have had those “default” thoughts about myself since childhood. The more I cater to those old feelings the more isolated I become. To compound the effect of my automatic negative thoughts about myself (my ANTs)… I am naturally an introvert. Introverts are introspective thinkers, they are overwhelmed by too much social exchange. I can not change my temperament but, I can lessen the negative impact it has on my emotions if I take the time to be self aware and objectively understand my perspective. As an introvert I am prone to excessive self talk (which is influenced by my ANTS) leaving me more prone to anxiety and depression. I then can begin to feel guilty and more inadequate for feeling anxious. What a mess! My biggest challenge is to not feel like an outsider in my own world. Sometimes I would rather spend time processing thoughts than seeking connection. I am a great listener but by the end of the day I am drained, seeking solitude. What hope do I have to change! Hope is precisely what I will need to change. First, I must recognize those ANTs that plague my thinking. They have become my default setting and rise to the occasion when I become fatigued and lonely. They are my fears, not fact. They began in childhood from the eyes of a ecocentric child that took everything personal. Second, I must reparent my inner child and exchange those eyes of fear with eyes of faith, exchanging feelings for fact. As God’s child I am valuable, wanted and lovable. My best friends also tell me that I am intelligent, loving and compassionate. Whom do I believe?….the eyes of a child with limited vision or a loving God and tremendous friends. When a call is not returned, a social engagement is postponed or a friend never calls to check in- it does not mean that I am not good enough and unimportant. That is personalizing the action of others. The action of others speak more about them and their situation not who I am as a person. It may mean they think I am busy! Believing the truth based on the love of, the God of hope, creates a different perspective that perpetuates a better attitude for connection. Hope in God is a confident expectation. Not wishful thinking. Scripture is full of over 3,000 verses referring to the promises of God that supplies our hope. To be hope(full) I must fill my thoughts with truth, not fears. God given hope gives a lovely reality that relieves the lonely feelings of unworthiness. Third, it is helpful to know your temperament. How did God create you? To understand your temperament is to understand your strengths and weaknesses. It really relieved my guilt and feelings of inadequacies when I realized how my temperament impacted my response to the world. I have linked a useful web site that makes a free Myers Briggs personality inventory available. Taking the time to understand your natural “bent” is helpful for you to understand your connections in relationships and life experiences. Fouth, to spend time with the author of this unyielding, constant source of hope. God carries you through life, he is there regardless of your awareness of Him. Let your eyes see Him, look for Him, expect Him. Hope in Him heightens your awareness and brightens your reality giving a connection for eternity. The lonely is faded by the lovely of His love. Listen to this song Hope Now and let God’s love flood your thoughts. Have you not bid me love you, God and Kind? All, all your own, heart, strength and mind. I see your cross;there teach my heart to cling. O let me seek you, and O let me find! 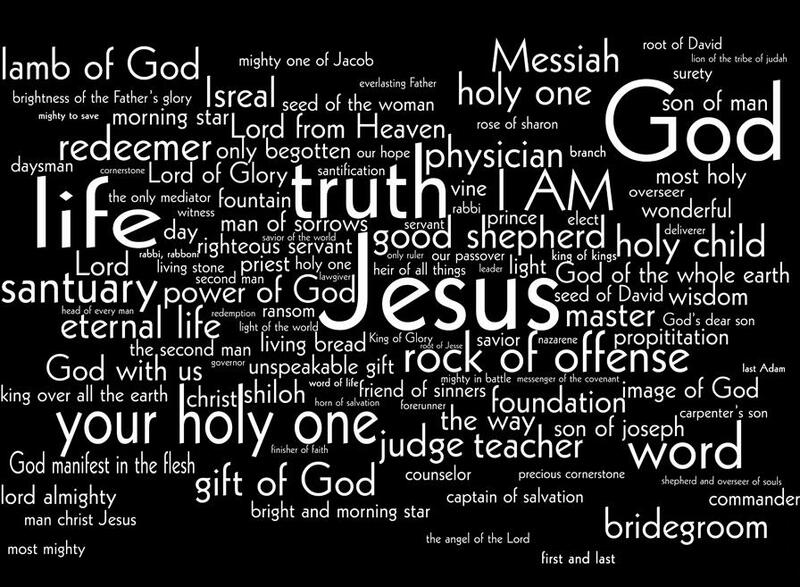 Scriptures and hymns of old bear out the message of the gift and grace of the presences of God’s light in us. We place our hope in God, He fills our souls with life and light, leading us forward to push back the dark that surrounds us. My house had exploded! My sweet family departed, returning to their homes, leaving remnants of a precious holiday week. It was a delightful disarray of scattered toys, dirty laundry, forgotten sippy cups, stacks of games, left over desserts and used blankets close to the fire… all reminders of the past week sharing love, thoughts, fun and meals. I was not in a big hurry to put away these remnants. There was a sweet sadness that it was over. What do we do with all the remnants and reminders of our past? Some reminders are glorious times of accomplishment and treasure. Other reminders are gross times of apathy and tragedy. I have known people who constantly cling to the remnants of a glorious past- trophies, degrees, bank accounts, honors etc.- those who are stuck in the past, failing to connect with the present. I have also known people who are fixated on their losses and failings, shackled with fear, blinding them to the opportunities of the present. “Straining” in the Greek means to “reach forth unto, to stretch one’s self forward, indicating direction.” We have a choice in the new year – to cling to the reminders and remnants of what is behind or resolve to reach forward to renewal. To resolve, to have a resolution, means to have an intention or aim, a commitment and a plan. What are the intentions of your new year’s resolutions? What motivates your new direction? Renewal, in a physical sense, means to replace or repair something that is broken. Physically, things of this world are always breaking down, needing replacement, subject to changing value and fickle in being fully satisfying our needs. Renewal, in a spiritual sense, is the process of being made spiritually new through the Holy Spirit. Spiritual growth has consistent benefit, ridding the old fears with new faith that is fully satisfying to all our needs. Are your resolutions aimed at soul solutions and plans to give the Spirit of God room to strengthen and renew? To resolve to strain forward toward the “goal”, we must “gird” our mind and heart. In other words, we must prepare as a runner prepares for a race or warrior prepares for battle. 13 Therefore, put on the complete armor of God, so that you will be able to [successfully] resist and stand your ground in the evil day [of danger], and having done everything [that the crisis demands], to stand firm [in your place, fully prepared, immovable, victorious]. 14 So stand firm and hold your ground, having [a]tightened the wide band of truth (personal integrity, moral courage) around your waist and having put on the breastplate of righteousness (an upright heart), 15 and having[b]strapped on your feet the gospel of peace in preparation [to face the enemy with firm-footed stability and the readiness produced by the good news]. 16 Above all, lift up the [protective] [c]shield of faith with which you can extinguish all the flaming arrows of the evil one. 17 And take the helmet of salvation, and the sword of the Spirit, which is the Word of God. a.Lit girded your loins, a phrase often found in the Bible, is an urgent call to get ready for immediate action or a coming event. The phrase is related to the type of clothing worn in ancient times. Before any vigorous activity the loose ends of clothing (tunics, cloaks, mantles, etc.) had to be gathered up and tucked into the wide band worn around the midsection of the body. The band (usually about six inches wide) also served as a kind of pocket or pouch to carry personal items such as a dagger, money or other necessary things. Gird up your mind or gird up your heart are examples of variants of this phrase and call for mental or spiritual preparation for a coming challenge. Girding and straining to prepare to live forward is a focus we can choose. Our Father will fully supply what we need. We are not alone in our resolve. To receive the strength of the Lord we must “hope fully” in the grace of God. The grace that we will be made perfect and be one with Him for eternity. Focus Forward on the love of God -Focus on the hope in God’s love that is in front of you, leading you forward – Live hope(full). Danny Gokey’s song – Hope in front of Me– is a wonderful inspiration to look for the light of God’s love, no matter how bad it gets. 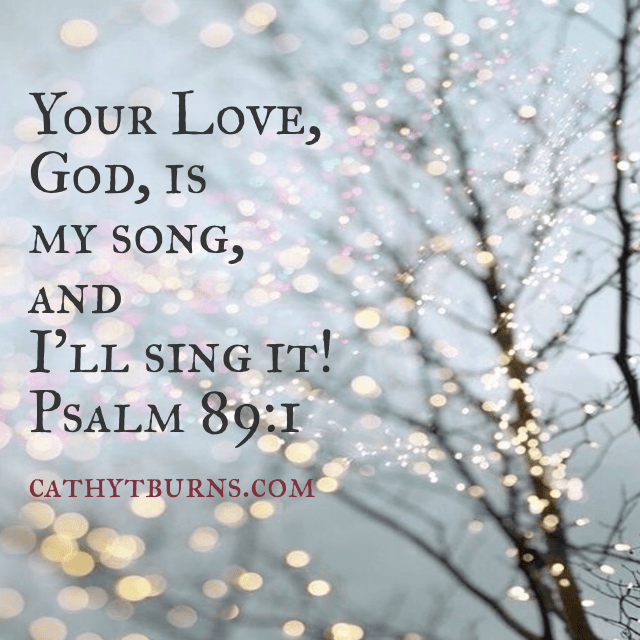 My Morning Reflections ~ Your Love, God, is My Song! Your love, God, is my song, and I’ll sing it! Smiles, hugs and words of love were abounding as people were streaming in and out of the candle light services. The message was encouraging, pointing thoughts to the love of the Father. The music was stirring, uniting hearts to the presence of God with us. The great finale came as hands are lifted, extending candles, illuminating the large auditorium with the soft comfort of candle light. Music filled the air with the clear purity of voices singing Silent Night. The song of voices being lifted together was the highlight of the service, giving a connection beyond words. Clinical studies can vouch for the health benefits of a medically approved music therapy regimen. The beauty of music therapy is that it helps people in a physical, mental, emotional and social way. Music directly affects brain waves, as stronger and faster rhythms make people more alert, while slower music can help people meditate and relax. This healthy calming and focusing affect helps people develop a positive mind state, while also reducing stress, which lowers blood pressure. Singing in general has been shone to release endorphins which make us feel more whole, lifting our mood. Our moods are heightened even more when we sing together in a group or choir. This is due to another hormone, known as oxytocin (the cuddle hormone) being activated when singing with others. Giving us a sense of bonding and trust. In fact studies have been shown that singing helps us live longer and happier lives. 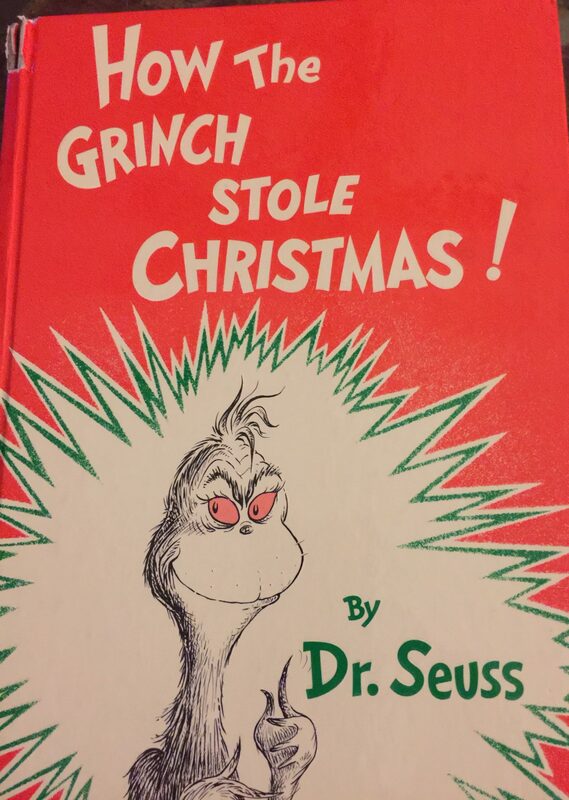 Even the The Grinch Stole that Stole Christmas was impacted by the power of music. Every Who down in Who-ville, the tall and the small, was singing! Without presents at all! He HADN’T stopped Christmas from coming! ……. …the Grinch’s small heart grew three sizes that day! There are 62 verses in the Bible about singing. Our heart, soul, mind and body thrives on song! It is a blessing to have music in this world. I wanted to encourage singing today! Let the love of God, the sweetness of family inspire a song in your heart and the freedom to release it in song. I have included a few songs that I have particularly enjoyed this season. Please listen to heighten your joy and love of life. I welcome any comments sharing favorite songs of this season. May the peace of God reign in your hearts as this year closes and a new year begins! 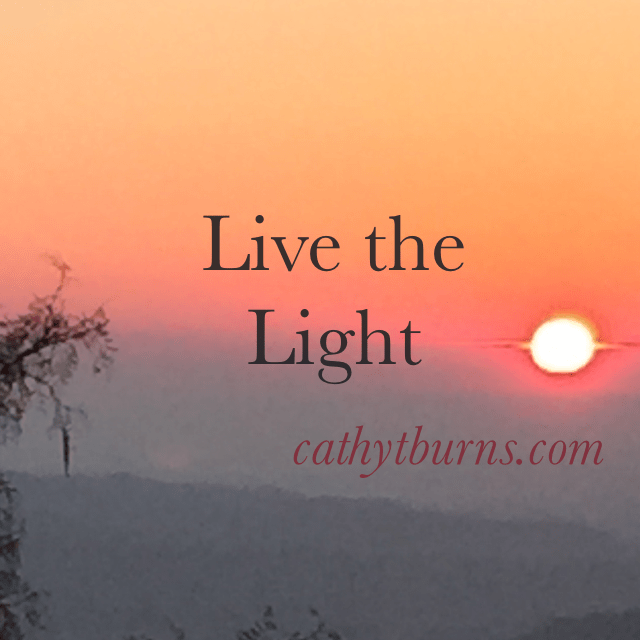 My Morning Reflections~ Live the Light! As dawn is breaking with the pink of first light, I am reminded of the power of light. The dark cold winter night transforms into a bright new day of promise. The dawning light gives way to warmth and clarity over the darkness. The gift of God’s light, His presence in our souls, gives us clarity in understanding God’s power and love. His light leads to an inner peace as we feel joined to Him. We are never abandon in the darkness of this world. In the Christmas season there are lights aglow down neighborhood streets and downtown businesses. Let the lights be reminders that Jesus, “the reason for the season”, brought God’s light to this world. A light given to us to defeat darkness. The darkness is defeated as dawn defeats the night. Christmas, the first coming of Christ, brings us the conquering light of peace. 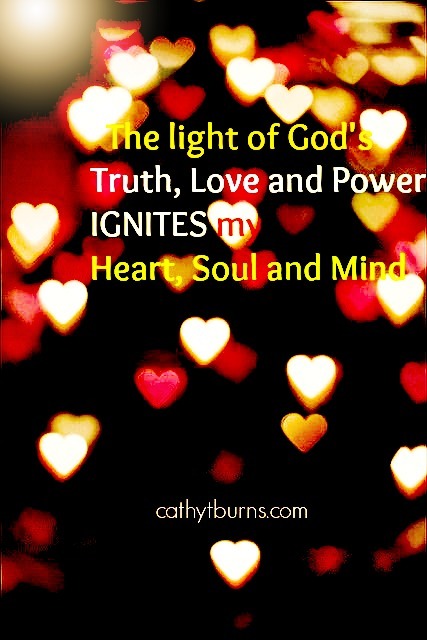 Are you (as a child of God) aware, and intentional utilizing the power of the divine light within your soul? 13:12 “night” This is used as a symbol of the sinful world we live in. This world will soon end. As a children of God let us keep focused on the mission and the ministry of living in and being the light. We can live beyond the darkness. Please do not take this gift of light lightly! The TV blared the sounds of a violence and cries of the hurting. A knot of anxiety and grief began to tighten inside my chest as the unsettling news of the day continued. How can peace be known in this world of turmoil? How can peace be known by you, as an inhabitant of this planet earth? Jesus comforts his disciples, in John 14, before His capture and crucifixion. He explains how the sightless and loveless world (v 23-14 MSG) is clueless in realizing the reality of God’s True love. Love that will be proved on the cross, so it is necessary that Jesus must “go away”(v28). He promises they will not be lonely (v18) but will be lovingly comforted and helped by the presences of “Advocate, the Holy Spirit” that will later be “in them” (v16-17). This “pale blue dot”, called the earth, is not a “lonely” speck but a lovely creation of a divine creator that desires for us all to “join” and be one with Him. Mr. Sagan was blind, unaware of the powerful presence of God, through Christ, in the souls of all believers. This bond, a joining of God to believing souls, is the essence of peace in the world. Peace is mentioned over 400 times in the Bible. It is a major intention of God to give His people peace. Peace that is proved by His love. “To make one, to join, to bind”, are descriptions of the Greek definition of peace (eirene) in the New Testament. In the Old Testament peace is the word shalom which means to be “well, rest, safe, completed, wholly”. God’s love has joined us to His Holiness to be Wholly in His Peace. He “brought” them to himself, to be joined with Him, the creator. They were never abandon in the wilderness. His love provided for them. The “gift of peace” born out a loving Father embeds His divine love into us. We choose to respond to God’s love when we extend His love to others by our actions. It is a dynamic combination! God’s love in us, then we love the world empowered by the peace we have in the Father. His love empowers our love. We are vessels of His peace on earth. I will listen to God the Lord. He has ordered peace for those who worship him. We have a choice to continue to pursue peace, to produce love or wander aimlessly, loosing our path toward peace. The following Hymn found in Divine Hours Prayers for Autumn and Wintertime (pg 362) gives guidance on how to choose with intention. Enthrone and entreat God and He will enfold you with His light and power. We must engage with the world extending the love of God. 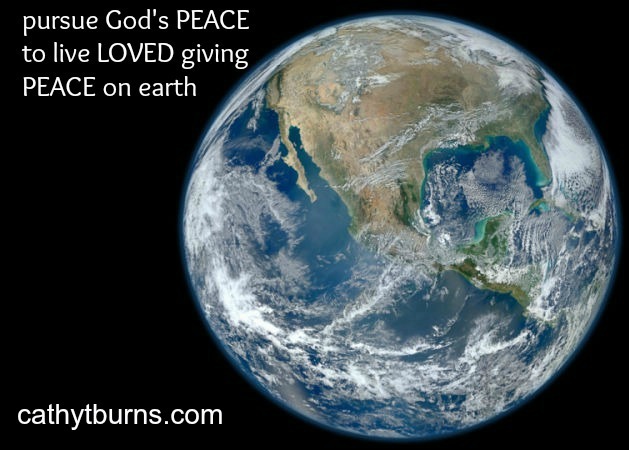 Peace on earth begins with us, God’s beloved children living out His love. When I experience the peace of God within my soul – the knot is dissolved, replaced with a feeling of openness and warmth. Thank you Lord for you faithful love! Listen to the song below as the words are read. Pursue the peace of God, listen for Him, He is alive! “I quit!” I declared, expressing my unsettled sentiment about the day, the week, the month, the season. Not only did everyone I talked to that day have issues of great grief, which were compounded by the season of “happy holiday”, but my own physically weariness was overwhelming. For many, Thanksgiving marks the beginning of struggle through a desperate, dark season of sorrow and pain. Can thanks-giving be possible as we experience life’s losses? Healing through grief requires an expanded perspective. We have a choice, to focus on what we are missing by our loss or to open our focus to include the reality of God’s presence. An ordinary picture can be edited by color and light adjustment, creating the best version of the captured scene. 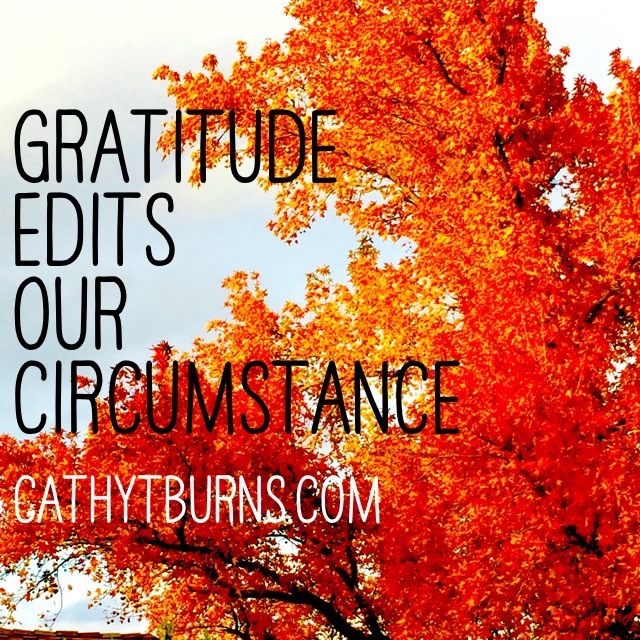 Gratitude “edits” our circumstance, highlighting the color and light of the presence of God. Trusting God’s claim on our lives, His adoption as His child, His provision through the darkness, opens the window to let in the light of His presences. Having an “eye” for gratitude opens our heartfelt trust in the loving-kindness of our merciful Father. We must learn to see life through God’s promises, not our circumstances. Through the focus of gratitude the “eyes of our heart” can begin to see how God is bringing comfort to our world through the words, actions and presences of loving friends. The “perfect timing” of needed resources that are made available become gifts from a loving Father to support us through our time of need. The Greek word for thankful in the I Thessalonians text is Eucharisteo. εὐχαριστέω eucharistéō, yoo-khar-is-teh’-o; from G2170; to be grateful, i.e. (actively) to express gratitude (towards); specially, to say grace at a meal:—(give) thank(-ful, -s).thank(-s, -worthy). Science has proven the value of gratitude which is “God’s will” for those who are His children. Neuroscience has pursued the benefits of the grateful brain. It has been proven that the practice of intentional, focused gratitude and appreciation can activate the hypothalamus, increase dopamine, heighten the immune system, improve sleep and over all sense of well being. Sign me up! Science proves the wisdom of the spiritual practice of gratefulness. Fear is replaced by faith as we trust who we are in Christ. Our trust is strengthened by our gratefulness for God’s presence in our lives as we realize the reality of His Grace. Charis is part of the word Eucharisteo. Grace unfolds into Gratitude, which points to the Glory of the Grace of God in our lives. SO true gratitude, embodied in our lives, (I Corinthians 15:57) will empower effective action for the kingdom. SO I do not quit! I will embrace the grace of God as I am confident we will have victory over the losses and grief in our lives. I am grateful I can walk beside the hurting and witness the healing only the grace and God can give. GOD is GREATER THAN ALL I am grateful to be His. I was astounded at the wisdom of the words of a young woman who will never send an email or read a book. My friend, Sommer, is a thirty-some, born with physical impairments, limiting her to see the world through the eyes of a 5 year old. OR is this limitation a source of illumination? Loving and nurturing, she frequently carries a baby doll, living in her world of imagination. Bold and focused are her convictions, as she stops in a restaurant to lay hands (uninvited) on the shoulders of a soldier to pray. She sees God clearly, communicating with Him continually. Her purity gives her a clarity of the reality of God’s love. 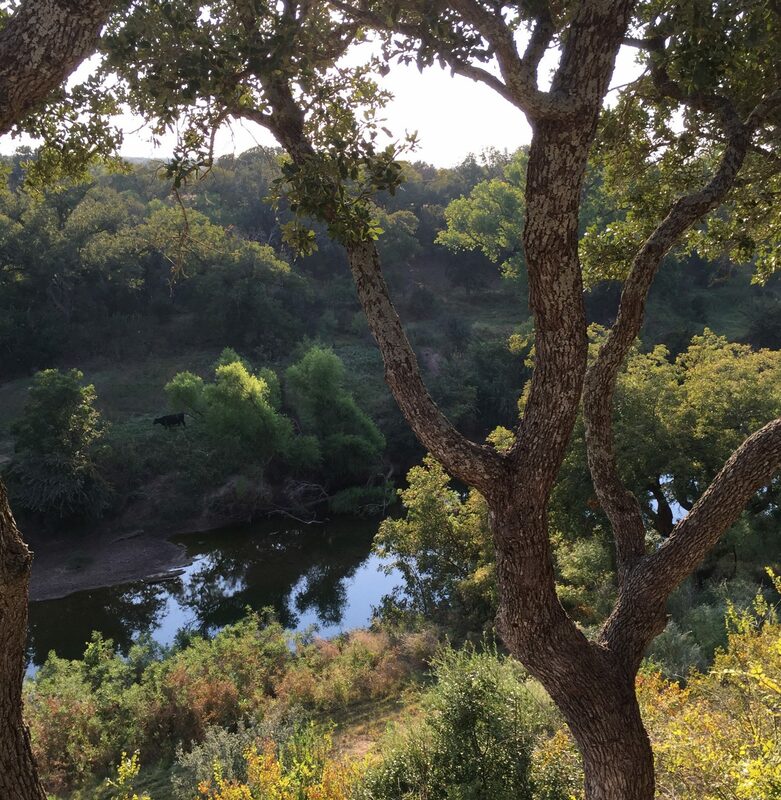 One October morning, sitting on a porch over looking the Colorado river, I was a recipient of her nurturing and prayers. I had severely injured my ankle from an ATV rolling over. Unsure if it was broken, I was confined to the porch with a day of ice packs. Sommer was my constant companion of conversation and comfort. I had never had an extensive conversation with this young woman, assuming that her words would be elementary in meaning. Her words illuminated the gospel message. She stroked my arm and softly reassured me that “Jesus loves you and he will heal you!” The purity of her belief in those words and the gaze of her eyes were healing. She then began to tell me the power of the empty tomb, in a way only Sommer could tell. Her mind is simple but strong. She lives in peace with a pure focus of the love of God. 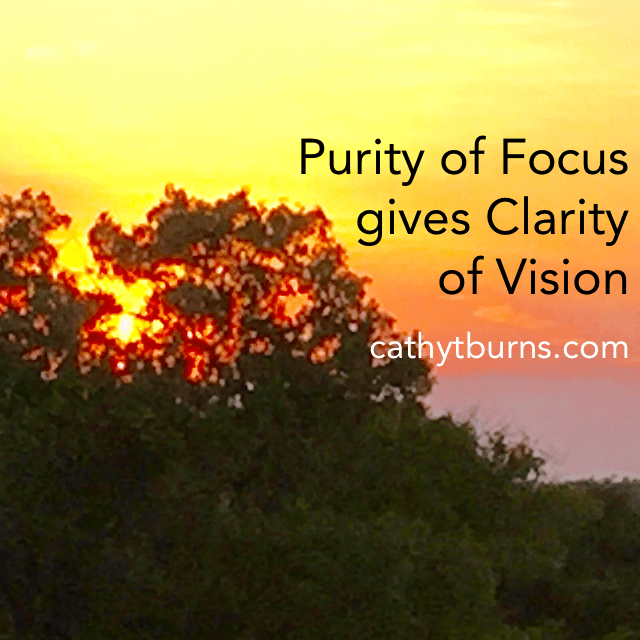 She’s a shining example of how a purity of focus can give a clarity of vision. Fear blurs my focus with the confusion of multiple concerns blinding my sense of God’s presence and provision. The strength of simple focus on the pure trusting love of God can heal a hurting life. Mark 10 gives the account of how precious the simple, pure trust of a child is to the kingdom of God. But when Jesus saw [it], He was indignant and [a]pained and said to them, Allow the children to come to Me—do not forbid or prevent or hinder them—for to such belongs the kingdom of God. Truly I tell you, whoever does not receive and accept and welcome the kingdom of God like a little child [does] positively shall not enter it at all. Mark 10 also speaks of the hard heart of the Pharisees, in v5, who were blind to the presence of God and the weak hearted faith of the rich young ruler in v 24. Between v5 and v24 there is v15 where Jesus makes it clear that These children are at the very center of life in the kingdom. Mark this: Unless you accept God’s kingdom in the simplicity of a child, you’ll never get in.” (MSG). The lesson Sommer taught me that morning, was the need to focus on the reality of God’s presence and the faithfulness of His love – all the time, anywhere with the simple confidence of a trusting child. As the words of the song The Hurt and the Healer I will “Just keep my eyes completely fixed on You” as I simply and completely fix my focus on God, giving me a clarity of vision to die to my fears and live hopeful and healed.